When Florent Schmitt’s monumental score Psaume XLVII was premiered in December 1906, it burst upon the Parisian music scene in a big way. Nothing this grandiose had been heard outside the opera house since the days of Berlioz. A sonic “experience”: The piano-reduction score to Florent Schmitt’s Psaume XLVII, composed in 1904 at the Villa Medici in Rome. Perhaps even more interesting for such a singular composition was that Schmitt’s Psalm wouldn’t be a one-off phenomenon, even though the composer himself would set just one other psalm to music – much later in life and employing only an unaccompanied male chorus (the Psaume CXII). 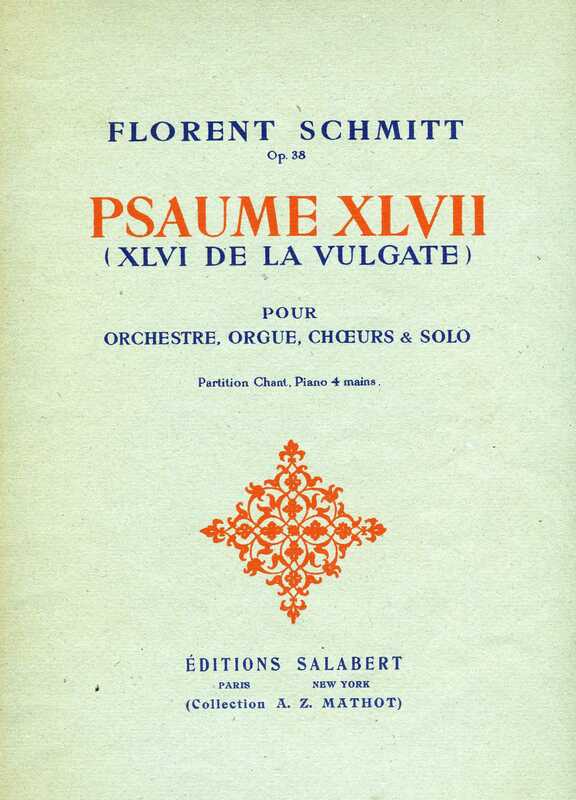 In fact, Psaume XLVII would influence a number of other French composers to create their own works based on the Psalter – chief among them Lili Boulanger, Albert Roussel and Jean Rivier. 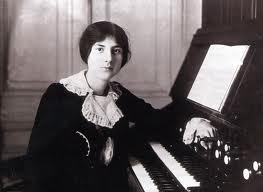 Lili Boulanger (1893-1918), influenced by Florent Schmitt’s Psaume XLVII, composed three psalms of her own in 1916-17. Lili Boulanger (1893-1918), the younger sister of the famous musician and teacher Nadia Boulanger, would prove to be influenced most heavily by Schmitt’s composition. Prone to sickness, the younger Boulanger would live for less than 25 years, but in her short life would set three psalms to music – all of them stunningly effective compositions. She was an incredible musical talent: a 1913 winner of the Prix de Rome whose untimely death would cut short a promising compositional career. 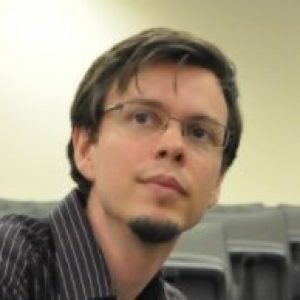 John Perkins, former professor of music at the American University of Sharjah and now associate director of choral activities at Butler University in Indianapolis, has written several articles about Lili Boulanger’s choral music – and particularly her Psaume 130 (“Du fond de l’abîme” – “Out of the Depths”), composed in 1917 and premiered in 1921 by Henri Büsser, three years after her death. 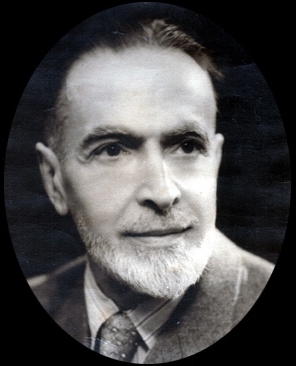 In addition to Psaume 130, Boulanger composed two other psalms: Psaume 24 and Psaume 129, both written in 1916. These are much shorter in length but similar in style to Schmitt’s Psaume XLVII. The French conductor Yan-Pascal Tortelier has made highly effective recordings of Boulanger’s and Schmitt’s psalms. His 1999 recording of the Boulanger Psaume 24 is every bit as effective as his 2012 Chandos recording of Schmitt’s Psalm, as you can hear in this YouTube clip. 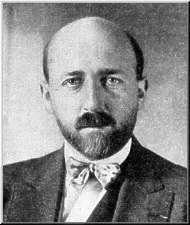 Albert Roussel’s Psaume LXXX, composed in 1928, also owes a debt of gratitude to Florent Schmitt’s earlier Psalm. Less well-known but equally effective is Psaume LXXX by Albert Roussel (1969-1937). Roussel’s Psalm was composed in 1928 and features a tenor solo instead of the soprano found in Schmitt’s score. The orchestration differs from Schmitt’s primarily in the omission of the pipe organ. It’s pretty clear that Roussel was influenced by Schmitt in the composition of Psalm 80. 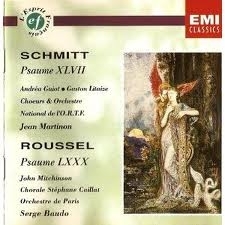 Indeed, Roussel considered Psalm XLVII to be the most important of Schmitt’s compositions. Surprisingly, considering that Roussel’s composition was written nearly 25 years after Schmitt’s, the “modernity” of Psaume LXXX isn’t particularly more pronounced. In fact, the incisive chords and vocal lines seem to stem directly from the 1904 Schmitt composition, underscoring once again how influential Schmitt’s score was on other French composers of the period. 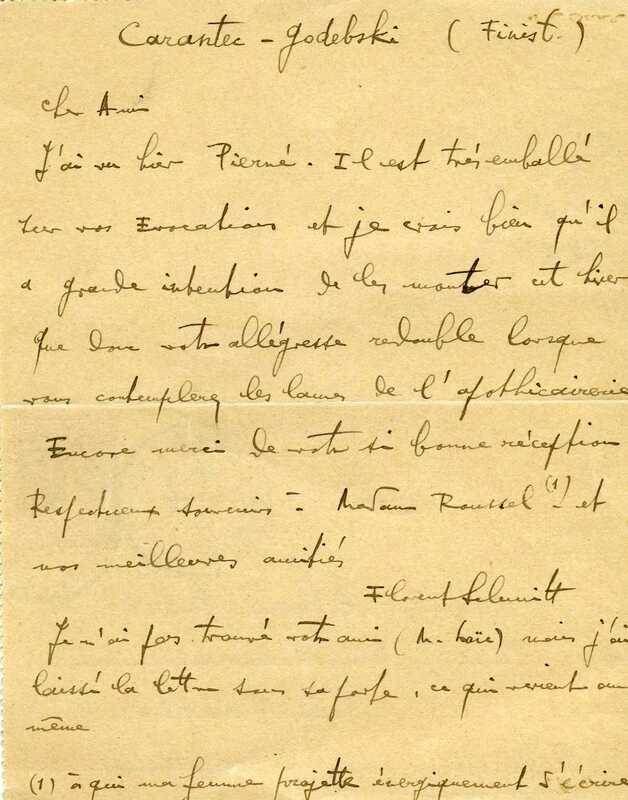 A letter written in 1912 by Florent Schmitt to Albert Roussel, when Roussel was stationed as a maritime officer at Port-Goulphar on Belle-île-en-mer in Brittany. Born just one year apart, the fellow composers were lifelong friends. Roussel’s Psalm is definitely a choral piece that deserves to be better known, as is amply proven in this EMI recording headlined by the conductor Serge Baudo, available courtesy of YouTube. As for Jean Rivier (1896-1987), his contribution to music based on the psalter, Psaume LVI, is also a very worthy composition. It was created more than 40 years after Schmitt’s Psalm 47 — and yet here as well the influence of “Schmitt as forerunner” is clearly evident. Rivier’s work is scored for soprano, tenor, chorus, organ and orchestra. To my knowledge it has never been commercially recorded, but we are fortunate to be able to hear a live performance of the piece as presented by the ORTF in concert in 1952, courtesy of YouTube, with the musical forces directed by Jean Martinon — the same conductor who was responsible for making one of the most memorable recordings of Schmitt’s Psalm (the CD reissue is pictured above). 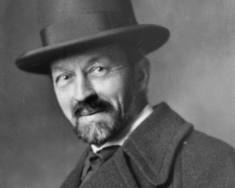 Kunc became quite friendly with Schmitt and André Caplet (the 1901 first prize winner), no doubt being influenced by what he was encountering in these other composers’ musical creations. In 1907, Kunc composed Psaume CXLVII as one his final envois from the Villa Medici in Rome. The piece is a total rarity these days. I’ve been able to find oblique references to it in just a few historical documents; almost certainly no recorded documentation exists. One of those references about Kunc’s Psalm piques curiosity: the piece is characterized as “worthy of Florent Schmitt’s Psalm 47,” composed three years earlier. This entry was posted in Classical Music, Composers, French Composers, Uncategorized and tagged Albert Roussel, Ayme Kunc, Choral Journal Magazine, Classical Music, Florent Schmitt, French Composers, Henri Busser, Jean Martinon, Jean Rivier, John Perkins, Leon-Paul Fargue, Lili Boulanger, Nadia Boulanger, Psalm 130, Psalm 24, Psalm 47, Psalm 56, Psalm 80, Psalm CXLVII, Psaume 130, Psaume 24, Psaume 47, Psaume 80, Psaume CXLVII, Psaume LVI, Psaume LXXX, Psaume XLVII, Serge Baudo, Yan-Pascal Tortelier. Bookmark the permalink. The comparative listening of these psalms keeps the Schmitt score quite a few notches higher, in terms of being the biggest masterpiece.